Coaches | Above & Beyond Sports LLC. In addition to graduating from West Chester University, Krannebitter coached both field hockey (26 years) and lacrosse (12 years) before retiring in 2011 from the University. While at West Chester, she led the lacrosse program to eight straight PSAC Conference Championships, and an ECAC Championship ('91). She was coach of the year twice (‘94, ‘97), and was IWLCA Division II Coach of the Year in 1987. 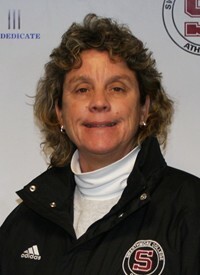 Following the 1997 season, Krannebitter stepped down from her coaching duties in lacrosse to focus her energies full-time to the Division I Field Hockey Program. Krannebitter was a dual sport athlete at West Chester. She played field hockey and lacrosse there, winning an AIAW National Championship in 1978, and her lacrosse team finished seventh in the AIAW National Championship in 1982. Krannebitter is currently as Assistant Lacrosse Coach at Swarthmore College. Karen Borbee, the 2012 Centennial Conference Coach of the Year, is entering her 21st season as head coach of the Swarthmore College's Women's Lacrosse program. Borbee leads the Garnet with a wealth of experience, both as a player and as a coach. A member of the United States Women's Lacrosse Team from 1981-1984 and 1988-1993, Borbee competed internationally on many occasions, representing the U.S. against Canada, Scotland, Wales, England, and Australia. She was also a member of the 1989 World Cup team which won the World Championship in Perth, Australia. In 1984, Borbee graduated with honors from the University of Delaware, where she had an outstanding lacrosse career. In 1997, she was inducted into the inaugural class of the University of Delaware Hall of Fame. She was a three-time All-American and was a member of the 1981 and 1982 AIAW Division II national championship teams and the 1983 NCAA national championship team. She served as team captain during her senior year and was also named Most Valuable Player at the NCAA tournament. In 2001, Borbee was inducted into the National Lacrosse Hall of Fame and the Pennsylvania Lacrosse Hall of Fame. In June 2013, she was inducted into the Delaware County Chapter of the Pennsylvania Sports Hall of Fame. After spending six years as a mathematics teacher and coach at Strath Haven High School in Wallingford, PA, Borbee joined the faculty at Swarthmore College in 1990. In addition to coaching lacrosse, she is a professor of physical education. Since becoming the head lacrosse coach at Swarthmore in 1993, Borbee totes an overall record of 200-147, the second best among all current coaches in the Centennial Conference. 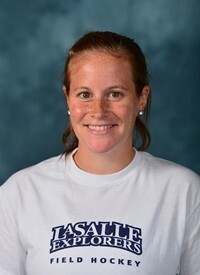 Leah Angstadt is currently the assistant women's Field Hockey Coach at LaSalle University. She is also involved in coaching club field hockey for Horizon. Angstadt played collegiate field hockey at West Chester University where she was apart of the 2011 National Championship team. In her time at West Chester she was recognized as a 2nd team All American as well as a Gladiator NCAA division II four year National Academic team member. Angstadt graduated from West Chester University in the Spring of 2012 with a BS in Health and Physical Education. Lauren Burdalski (formerly Enck) was a Division I Field Hockey Athlete and graduated from West Chester University with a degree in Health & Physical Education and a Master's Degree in Sport and Athletic Administration. Lauren was a two-time team MVP, and team captain for the Golden Rams. She is a Health and Physical Education teacher at Ridley High School, and is a former Head Coach at Upper Darby and West Chester East High Schools. Lauren has over 8 years experience teaching and coaching at the high school and club level. While coaching for Horizon FHC, she has coached all levels (u12-u19), including travel and Hockey Festival Teams. Lauren is currently working towards her certification in Personal Training. Ashley Ross joined the Swarthmore College athletics department in August 2013. She will serve as a strength and conditioning assistant as well as an assistant coach on the field hockey and women's lacrosse coaching staffs. 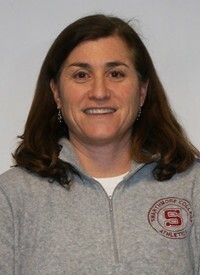 Prior to Swarthmore, Ross spent one year as assistant field hockey coach at Saint Francis University. During the 2011-12 academic year, Ross was an assistant coach for both the field hockey and women's lacrosse programs at Division III Babson College. With the Beavers, Ross worked as the recruiting coordinator while developing scouting reports for opposing teams and worked directly with the Babson College goalkeepers. Ross attended the University at Albany where she received her bachelor's degree in 2009 and her master's degree in the spring of 2011. While there, she participated in field hockey and lacrosse and led both programs to America East Conference championships and NCAA Division I Tournament appearances. Ross is recognized as one of the best goalkeepers in school history at UAlbany after earning All-America East Conference honors three times and All-Northeast Region recognition in field hockey. She made the America East All-Tournament Team twice, and in 2008 she was honored as the Most Valuable Player of the America East Tournament. 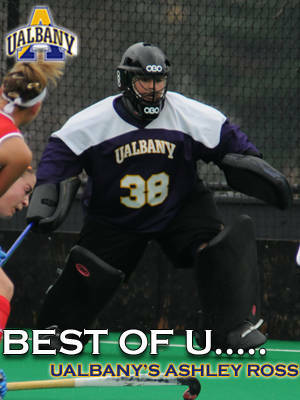 Ross still holds Albany field hockey records for career wins (45) and shutouts (15) while ranking second in saves (318) in Great Dane history. A two-star athlete in college, Ross earned All-America East Conference, IWLCA All-Northeast Region and America East All-Tournament Team honors for the UAlbany women's lacrosse team.